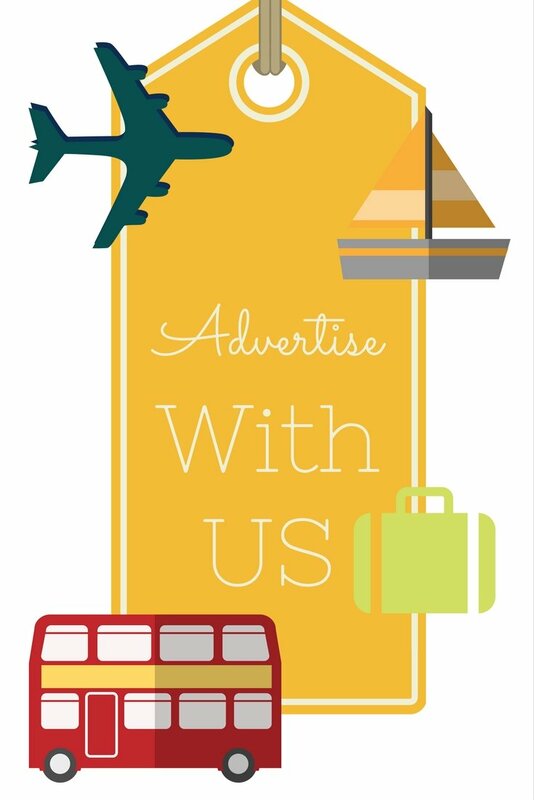 "If you arrive here on one of the cruise line organized tours, square of Santa Croce Florence will be your drop off point and your meeting point!" Piazza Santa Croce Florence will most probably be your first encounter with the Centro Storico (historical center) of Florence and its sights to see. Especially if you arrive here on one of the cruise line organized tours. 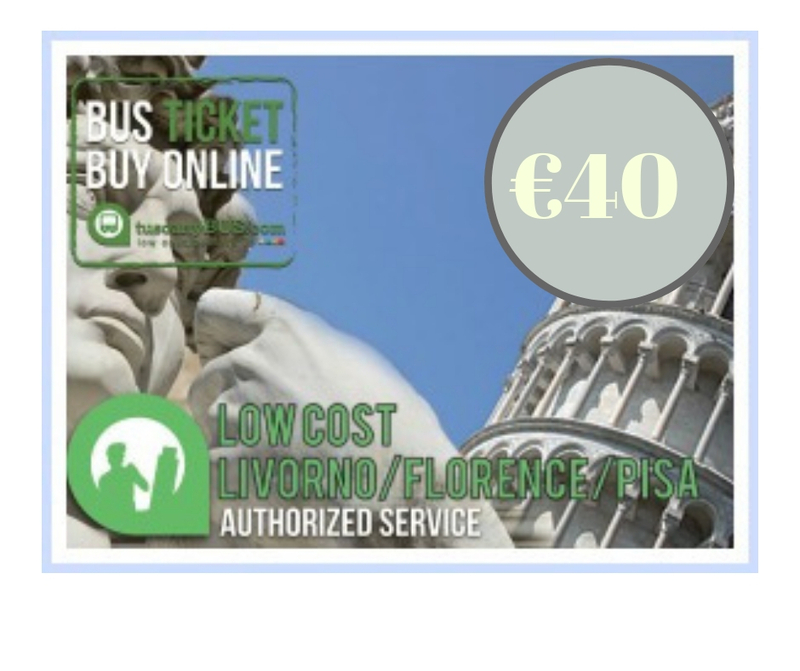 Namely, most tour buses will stop by the Arno river (especially for example the Florence On Your Own, Florence and Pisa on your Own & Taste of Florence tours) and from there your tour guides will walk you to Piazza Santa Croce. This square will be your drop off point (if your tour doesn’t include the guides) and your meeting point. Your tour guides will be waiting here for you holding lollipops with your tour’s number, and make sure everyone’s accounted for before going back to the bus all together. The walk between the spot where the bus stops and Piazza Santa Croce Florence is about 7-10 minutes. 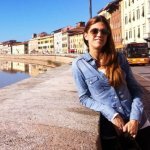 Since Piazza Santa Croce is like a little hub for all cruise guests, it is a perfect meeting point if you’re arranging to be picked up by your family, friends or simply local tour guides. 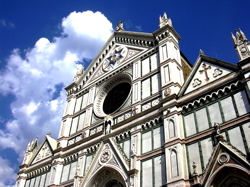 As you walk into the Piazza Santa Croce Florence with your tour guide, the first thing you will see is the fabulous façade of the church that the square takes its name from, Basilica Santa Croce (Basilica of the Holy Cross). It is a multi-coloured marble façade, second in its beauty only to the Duomo. 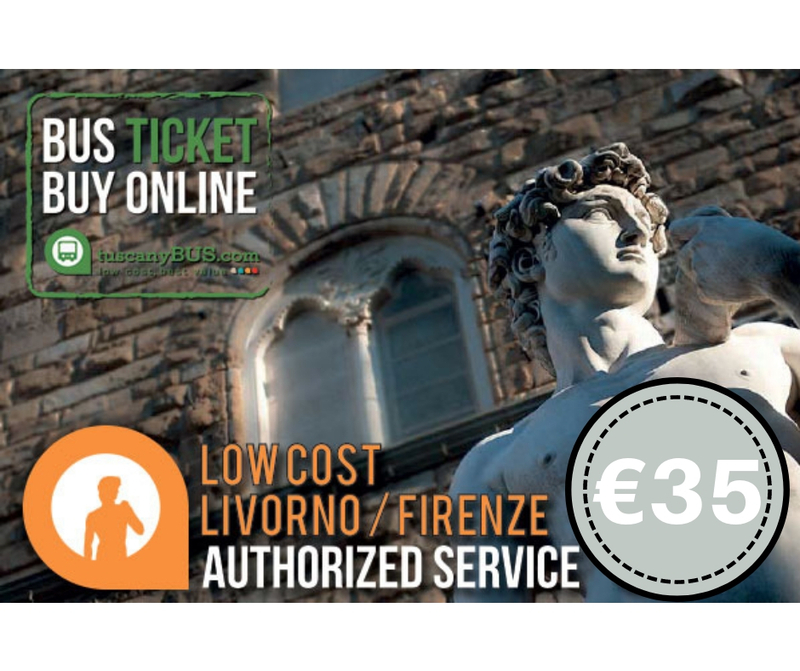 But looking at this Basilica you won’t only be looking at a beautiful church, you will be looking at an historical spot where some of the most notable Florentine residents throughout history are buried: Michelangelo, Galileo, Machiavelli, Rossini and others. 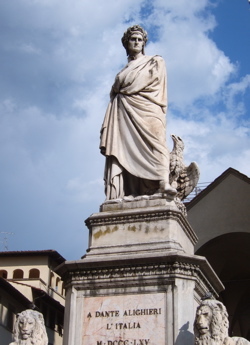 On the left of the facade, in front of the basilica, there is a statue of Dante, the great poet. It was first unveiled in 1864, which was the fifth centenary of the poet’s death, but it was standing in the center of the square. It was moved in front of the church after the floods in 1966. DINING ROOM TABLE TIDBIT: Dante should have been buried in the basilica too, but as he died in the city of Ravenna, where he was in exile, they would never return his body to his native city. The stairs of the basilica, or the stone benches in front of it, are a great spot to take a few minutes rest before you head into other parts of Florence. As you sit there, notice its shape and size. Considering it was built in the middle ages, between the 13th and the 14th Centuries, it is unusually large. That’s because the Franciscans, who built the Santa Croce church, used the square for religious ceremonies and to preach to crowds here. 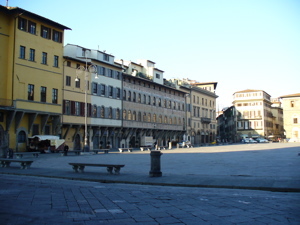 DINING ROOM TABLE TIDBIT: In Piazza Santa Croce, in 1250, the first Parliament or meeting of the people was held. Now, notice the southern and western side of the square… they are lined by noble palaces, some of them having protruding top floors supported by inclined pillars. You can still see traces of the façade of the Antellesi palace that occupies the southern side of the square. On the opposite side of the church is a baroque fountain. For you as a cruise guest in Florence, it is a great place to sit down, have a coffee or a light lunch at one of the restaurant patios and do your last minute 18 kt gold shopping while waiting for your tour guide to summon you to go back to the bus. You will see some local artists selling their works and stands with souvenirs and leather. TIP: If you are a serious buyer of authentic Florentine leather, do not buy it in the market stalls. Enjoy Piazza Santa Croce, one of the many charming Florence squares!